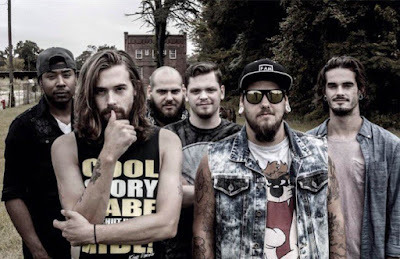 Mikey Clement, co-vocalist of metalcore band Valleys, passed away after being involved in a car crash on February 5. He was 23. The band said in a statement: "Many of you have heard and seen the news that we lost Mikey Clement. Very early this morning, Mikey was the victim of a horrific car crash, one that took his life. Today, we lost more than just a band mate, we lost a brother, a son, a friend, an all around tremendous human being. Everyone here in VALLEYS have been by each other side, and the sides of the Clement family all day. We have seen the outpour of support and love from all of our friends and fans, we thank you. All of your comments have been extremely touching and have helped us to stay strong in our time of need. As of right now, we are going to cancel our February 10th concert with Fleshgod Apocalypse at The Rock Shop. All other dates and shows are still happening as planned. On February 12th, we will have our Experiment One: Asylum CD release party. This show will also be a big tribute show for Mikey. We need all of our fans and friends to come out and show love for not just VALLEYS but for Mikey. At this show, VALLEYS will be joined by many of our closest musical friends to part take in guest vocals on stage. We will announce all that later this week. And to Mikey,In death, you will see the light. Keep that flame alive up there buddy. Till we meet again!"